One of The Best Rock N Roll Vocal Groups of the 1960s & 1970s! 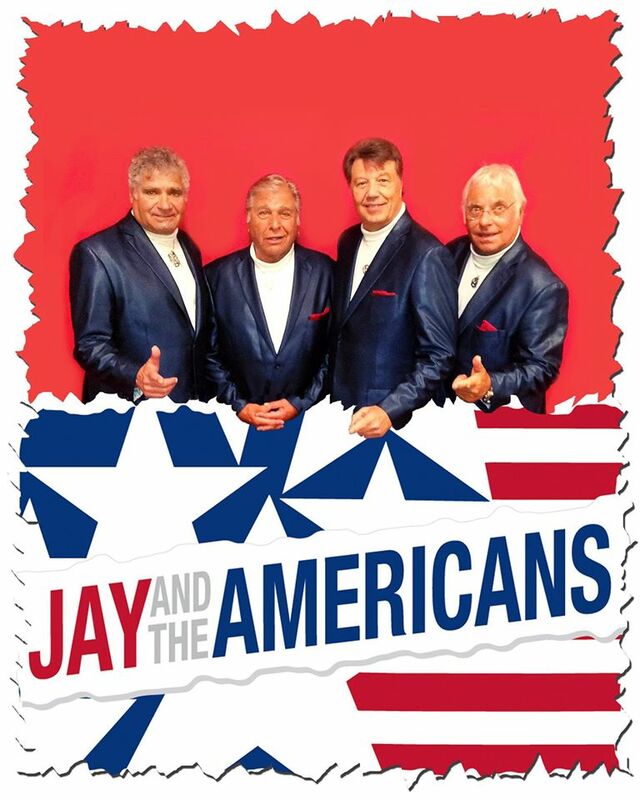 JAY AND THE AMERICANS 12 Top 10 hit songs including “Come A Little Bit Closer” (from Guardians Of the Galaxy Vol 2), “Cara Mia”, “Only In America”, & “This Magic Moment”. The group features 3 original members Sandy Deanne, Howie Kane & Marty Sanders, the magnificent voice of Jay Reinecke plus the fabulous USA Band. They are fantastic. Advance Tickets are on sale now. This entry was posted in 60s, 60s rock n roll concert, 70s, advance tickets, All Ages concert, Bar, Classic Hits, Classic Rock, Concert, Date Night, Dinner, Family event, Florida, In Concert, love songs, Million Sellers, Oldies, Pop, Rock Concert, Rock N Roll, Special Event, Top 10 hits and tagged advance tickets, classic rock, Jay And The Americans, Lecanto Florisa, love songs, Oldies, rock n roll 60s 70s. Bookmark the permalink.